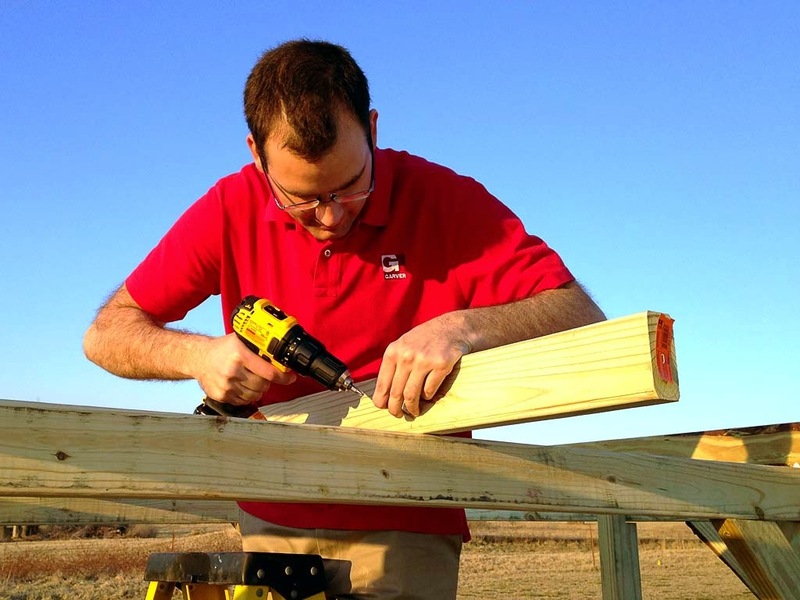 At Garver, we take pride in the difference we make in the communities in which we live and work. 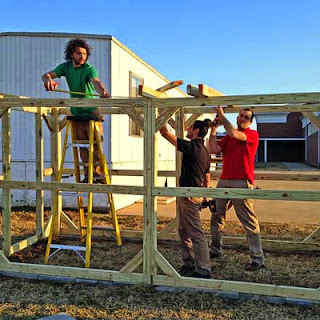 Earlier this year, Garver’s Fayetteville Aviation Team tasked itself with developing team service project goals for 2014. 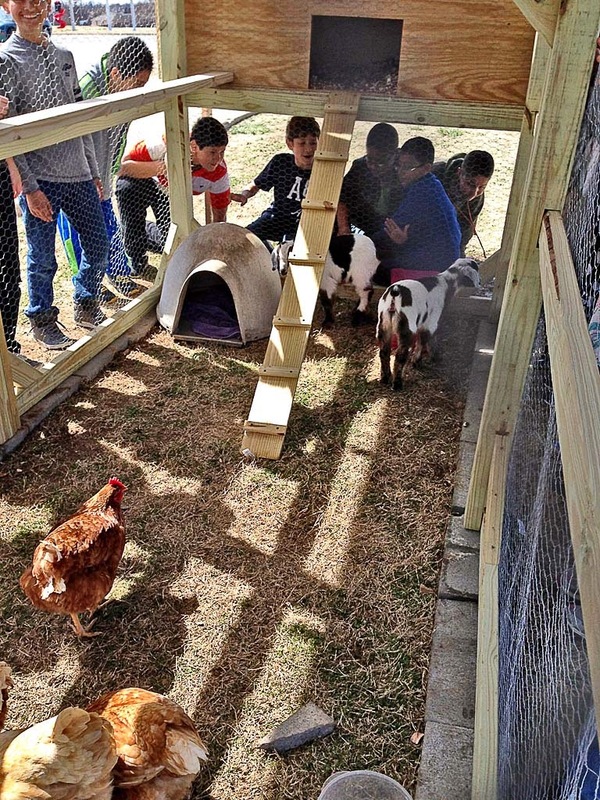 Through relationships in the community, the team decided to help a 5th grade teacher at Harp Elementary School in Springdale, Arkansas who teaches her students about animals through the use of a small chicken coop at the school. Unfortunately, the coop was too small to provide the students with an ideal learning opportunity. 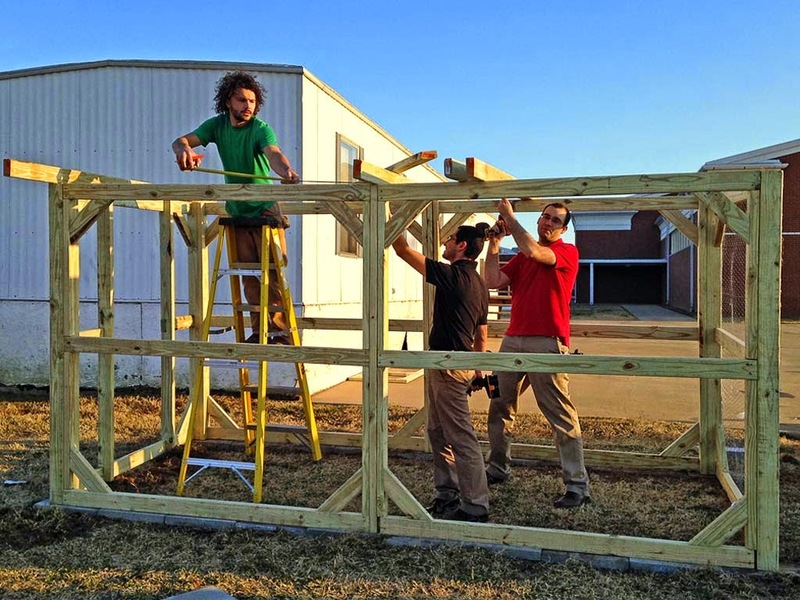 Just over a month after deciding to build the school a new chicken coop, Garver’s Aviation Team had worked together to design, build, and deliver a new 12-by-8-foot coop.